Make a sign that says a little bit about who you are. Include #Take15for15. Take a photo – alone, with your client, with your family, or with anyone else who supports the Home Care Fight for $15. 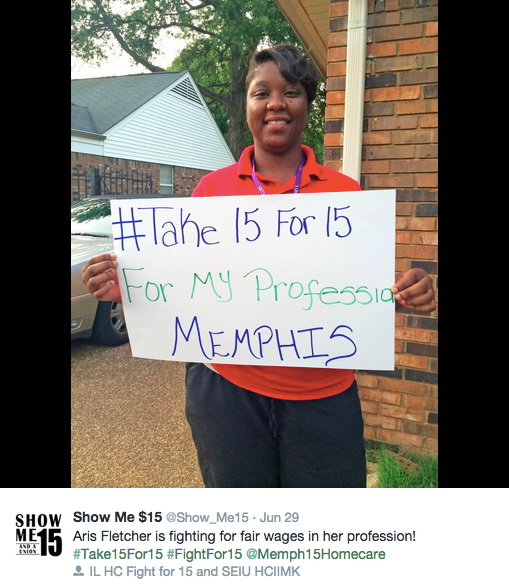 Post the photo to Twitter, Facebook, or Instagram, with the hashtag #Take15for15. Get creative! 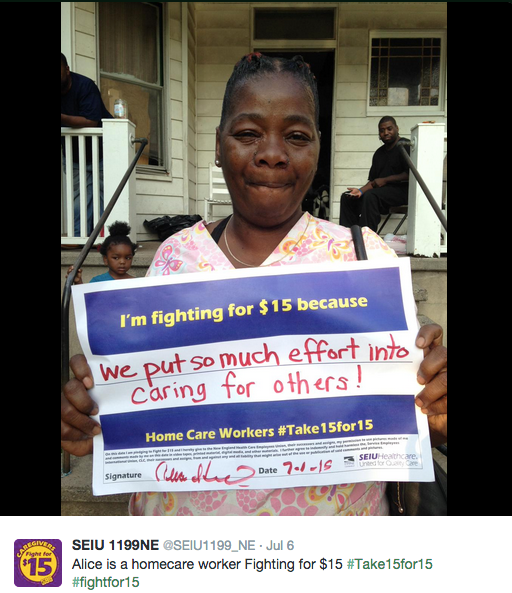 You can #Take15for15 by inviting 15 home care workers to an organizing meeting, or spending 15 minutes at a worship service or community meeting talking about the Home Care Fight for $15. Write a letter to 15 members of Congress asking them to support home care workers, or #Take15for15 by getting 15 of your neighbors to share your posts.